Bhabhi was a famous Pakistani family drama. 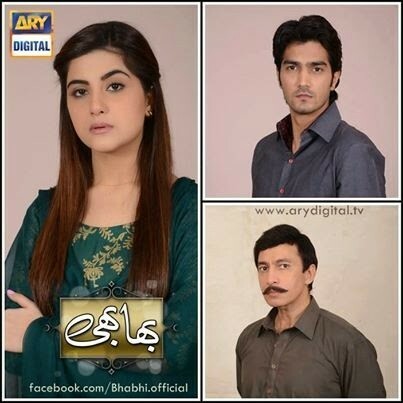 The drama was airing on Ary Digital every Monday at 8:00 pm. Bhabhi drama was directed by Asif Younas and while the story was written by Ghazala Aziz. The drama is starring Aijaz Aslam, Shehzad Sheikh, Sohai Ali Abro, Farah Shah, Bahar Kishwar Sultana, Adnan Saeed and more in leading role. Bhabhi is a heart-touching story of a single mother who faces all the odds and obstacles of the society and family to emerge as a strong woman.